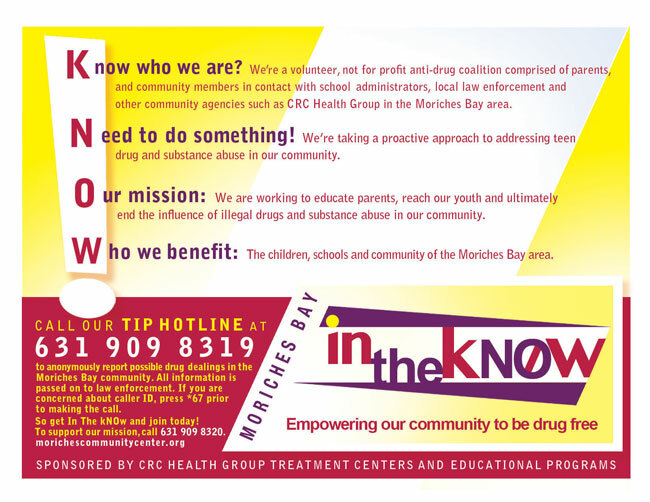 “Moriches Bay in the kNOw” Community Prevention Coalition! Our Mission: To prevent teens from engaging in substance abuse. We are an alliance among all sectors of our communities, educating parents, working on teen prevention solutions, and acting as a resource for families in crisis. We meet the first Monday of each month at 7pm at the Center Moriches High School library. 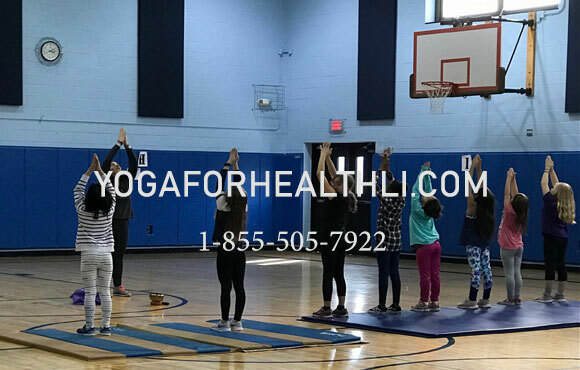 – Recognized by NYS Office of Alcoholism and Substance Abuse Services (OASAS). – “Not On Your Life” activity where CMHS students visited businesses with stickers, posters and info to create awareness of dangers of underage drinking and to curb availability of alcohol to minors. Parents…You are the most powerful influence in your child’s life… Learn how to make a difference! Check our calendar for the next meeting date, and please join us! Presented by Moriches Community Center, Local Link Recovery Resources, LI Prevention Resource Center, Just Human Fund, and HUGS. For more information email gro.r1556073659etnec1556073659ytinu1556073659mmocs1556073659ehcir1556073659om@of1556073659ni1556073659.